Previously known especially for motorcycles . The company Intercar S.A. ( Intercar AE) his agency and boosted sales of cars and creating a dealer network throughout Greece . Later limited to wholesale traders and to organize the distribution of the car . 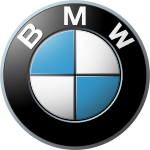 When sales have now reached high levels , BMW decided to discontinue cooperation with Intercar and responsibility of direct disposal of products BMW ( and later Mini) in Greece undertook a subsidiary of BMW Group, «BMW Hellas». The company started its operation in October 2003 , with President and CEO Mr. . Stavros Gialouridis Street in Seneca 24, N. Kifissia . The current President of the company is Rudolf Wallisch, while the company has moved and its headquarters are located in Glyfada.